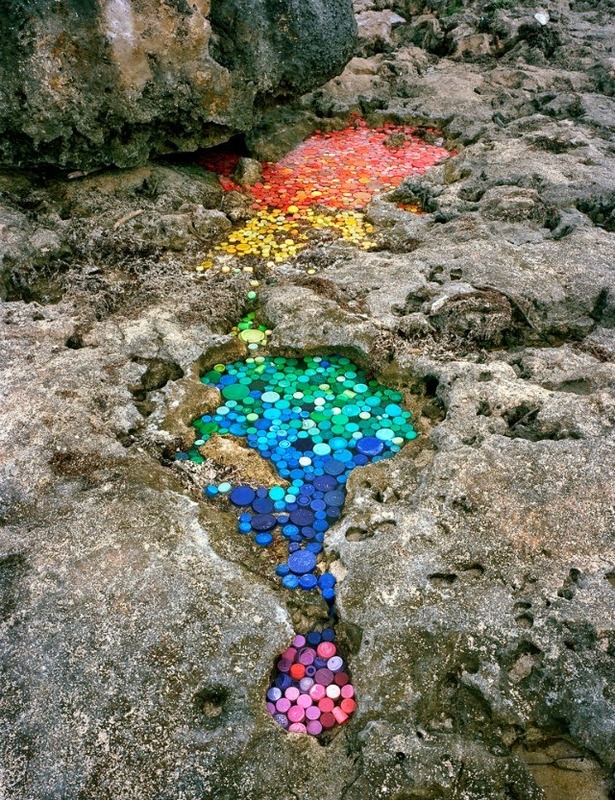 Alejandro Duran creates color-based, site-specific tableaux of plastics and trash that washes ashore on Mexico’s Caribbean coast. His current project titled "Washed Up", depicts a new form of colonization by consumerism, where even undeveloped land is not safe from the far-reaching impact of our disposable culture. Speaking about the project Alejandro says, "Conflating the hand of man and nature, at times I distribute the objects the way the waves would; at other times, the plastic takes on the shape of algae, roots, rivers, or fruit, reflecting the infiltration of plastics into the natural environment.